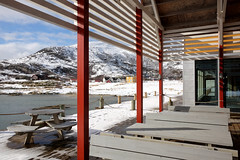 Friday 23 September Ramboll will host an Arcitc Forum in Tromsø, at our office in Grønnegata 65. Our Senior Manager Caroline Rossignol, will give a brief introduction to global extractive industry approaches to local impact and benefit sharing, when establishing industry in new regions. Caroline has office in Portland, Maine. For over seven years, she served as a global CSR Manager with Barrick Gold Corporation where she played a key role in shaping and advancing the company’s CSR agenda, policies and systems, communications and sustainability reporting, as well as engagement with corporate stakeholders such as NGOs, industry associations, government, shareholders, multilateral agencies and international finance institutions. She is a part of Ramboll’s Arctic 360 pragram, which I have led since the start in 2012. The program consist of 25 experts on Transport, Energy, Oil & Gas, Environment and Management Consulting in Russia, Finland, Sweden, Norway, Denmark, Greenland and USA. Her experience and the examples she will highlight, will provide an interesting starting point for discussions on the mining industry’s potential growth in northern Norway and other regions of the Arctic. 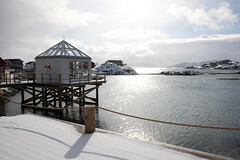 It can also be a source of reflection on other growing industries in Northern Norway, like petroleum and aquaculture. 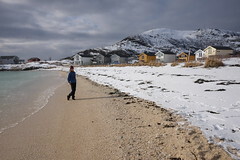 The framework for local community incentives and growth opportunities as a result of industrial development, are quite different in the Arctic countries. Ramboll is developing a project within best practice for local impact and benefit agreements, wich will be introduced at the Forum.